Mecca, Madina, A Shiv Temple ? Untouchables would often do work considered too dirty by members of regular caste society. The caste system has been mainly criticised for its treatment of outcastes or untouchables. This group has been termed the panchama (the fifth varna), collectively designating all who fall outside the regular four classes. The notion of untouchability may have been present in the original varna system, though it is not clear precisely how it operated. Puranic texts mention untouchables, stating that they should be well-supported, but intimate connection with them avoided. They also state that those who fell from their status within the higher "twice-born" varnas were called dvija-bandhu (friends of the twice-born) and were accommodated within the shudra class. In actual practice, some who abandoned key rituals or moral standards were altogether ostracised. Additionally, jobs deemed to be particularly contaminating were held only by outcastes.These include sweepers, leather workers ,and crematorium attendants. They were not allowed to live within the confines of regular village life, nor to share public facilities such as wells and temples. 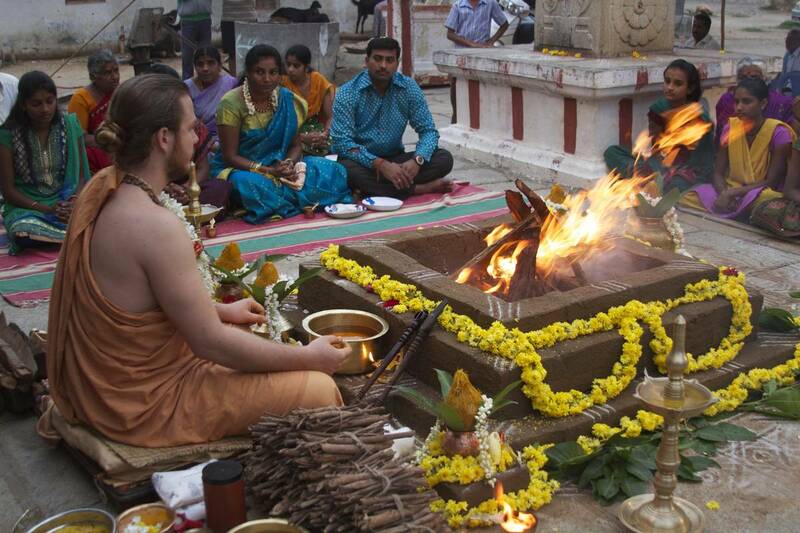 A Western-born non-caste brahmana performing a fire sacrifice. Many of the bhakti movements, such as the one to which this priest belongs have challenged rigid notions of caste and untouchability. Organised opposition to rigid caste practices began with the medieval bhakti movements. Some of them rejected both caste and its precursor, varnashrama-dharma. Others considered the original varnashrama-dharma to be the genuine system, though it usually took second place to a revitalised spiritual egalitarianism. Some contemporary bhakti traditions continue to initiate non-caste brahmanas from amongst communities normally considered untouchable. This liberal practice has met opposition, particularly from caste-conscious brahmanas. Gandhi called the outcastes Harijans – the children of God – and wanted to accommodate them within the fourth varna. Ranji Ambedkar, another important reformer, was a member of the untouchable caste who succeeded in attaining a scholarship to study law. He later disagreed with Gandhi over the future status of untouchables, and advocated instead a classless society. He was one of the main architects of the new Indian constitution of 1950, which outlawed untouchability and gave equal status to all citizens. In practice many rigid caste values continue, and former outcastes have organised themselves as Dalits (the oppressed), fighting for social and economic equality. The struggle continues today, and though "positive discrimination" is securing the outcastes equal opportunities, some claim that it is now displacing those who are actually more qualified. Caste consciousness still continues, and is much debated amongst Hindu scholars and activists. Some advocate the mitigation of social injustice through the complete abolition of social divisions. Others attempt to redefine the ancient varnashrama-dharma in a way that is relevant to post-modern society. "A scholarly brahmana, expert in all subjects of Vedic knowledge, is unfit to become a spiritual teacher if he is not expert in the science of God consciousness. But a spiritually realised person, even if born in a family of untouchables, is fit to become a guru." Have something to add to this story? Share Your Thoughts.. This text provides a comprehensive look into Love Jihad, the mechanism of coercing young women into changing their religion through various tactics. 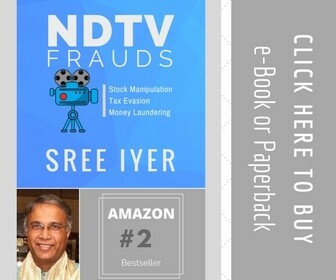 This book also serves as a guide to parents and young women who would like to safeguard themselves from becoming victims of Love Jihad.